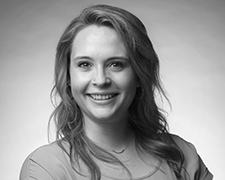 Kelley Wesson joined Agriculture Capital as our Senior Administrative Assistant providing administrative support for the Portland and San Francisco offices. Kelley comes to Agriculture Capital after having spent close to six years as the Office Administrator for a small law firm which specialized in Water Law. Kelley is a Portland native and graduated from Oregon State University in 2009. In her spare time, Kelley is passionate about Dragon Boat racing with the Oregon Women Lawyers Dragonflies team. She also loves bike riding and completed a 106 miles ride by participating in Reach the Beach. She also has strong community ties and has volunteered with Village Support Network assisting previously homeless families stay in their newly placed housing. Kelley has also volunteered several times at the Oregon Food Bank. Kelley also enjoys gardening and spending time with her family.